Podcasts are an important media form that have gained popularity over the past five years, with the original release of well-known Serial’s debut in 2014. Podcasts have been around for much longer than you may think. Since being “developed” in 2004 by former MTV video jockey Adam Curry, and software developer Dave Winer, podcasting has taken on many different forms – with different topics and subjects, and a variety of lengths. They can be funny and entertaining, or informative and inspiring. Podcasts can stimulate mental imagery and cause listeners to have to pay more attention. They can also help you to engage yourself more in stories, and to become a part of what you are listening, to enabling you to gain a greater appreciation for listening. Podcasts also allow you to see the world from different perspectives but still while controlling who influences you. With so many different podcasts available it’s difficult to narrow down those worth listening to. We’ve gone ahead and done the work for you. 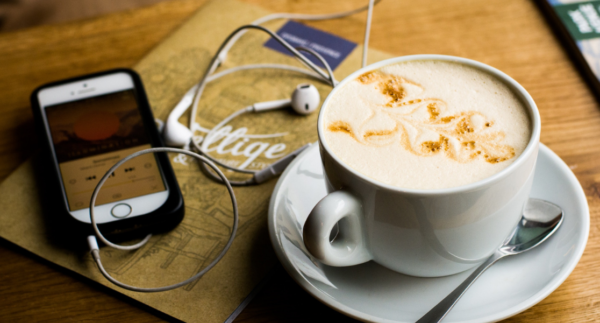 Here are worthy podcasts to create a playlist that we hope you find interesting and useful. BiggerPockets Podcast: Released weekly on Thursdays, the BiggerPockets Podcast hosts are Brandon Turner and David Greene. It features off-the-cuff interviews with investors of various backgrounds, niches, and experience levels. Many of the investors come from real estate and entrepreneur industries. In this podcast, hosts and guests discuss failures, successes, motivations, and lessons learned. Episode (#321) discussed how to negotiate real estate and expert deal-making tactics with J and Carol Scott and Mark Ferguson. Agent Caffeine: Airing weekly on Tuesdays at 9 p.m., Agent Caffeine shares trends on the horizon in and out of real estate. Other topics include changes in technology, and talk about strategies, evolutionary practices, and disciplines. Hosted by Kelly Mitchell, each episode includes interviews with real estate and tech industry professionals meant to stimulate ideas and invigorate thoughts. A recent episode (#241) discussed content targeting and strategy for real estate with Rebekah Radice. Masters in Business: Bloomberg Opinion columnist Barry Ritholtz looks at the people and ideas that shape markets, investing, and business. Ritholtz hosts many influential news-makers as his guests. The discussions are often wide-ranging, covering the guest’s careers, thoughts on the future of their space, and insights into what they have accomplished. A recent episode discussed global economics with Vanguard’s Joe Davis. Social Media Examiner: Join Michael Stelzner of website Social Media Examiner as he interviews social media experts to discover what works in social media marketing and the latest social media tools. Learn how successful businesses use social media, learn new strategies and tactics, and gain actionable tips to improve social media marketing. Standout podcasts include small business owners sharing how they found success using social media. The Big Loop: Each episode of this anthology series podcast is a different story, meaning you can skip around and jump in whenever you’d like. Hosted by Paul Bae, each episode is a self-contained narrative exploring the strange, the terrifying, the wonderful, and the heartbreaking. There is something for everyone within The Big Loop. Limetown: An audio drama that straddles the line between horror and science fiction, Limetown follows an investigative journalism approach following a reporter trying to find out what happened to a small town in Tennessee where everyone suddenly went missing ten years ago. The drama completed two seasons, the second season was a prequel novel set when Limetown was founded. Did you enjoy this article or find it insightful?